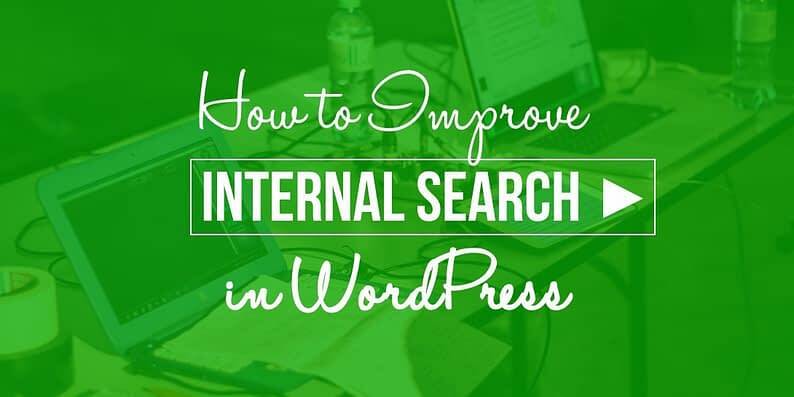 Why improve internal search in WordPress? Well, when you own a site, you always need to put your content first. Most people will visit you just to find something specific, and not to spend time browsing around randomly. That’s why your site’s internal search should be highly optimized, so that it can provide your visitors with the most relevant information. That being said, WordPress’s own internal search feature perhaps isn’t of the highest quality. I mean, yes, it “finds stuff” but it’s nowhere near the quality of what Google gives you. It makes your content more visible and easy to reach. It lets you know about your audience’s preferences (you can see what they’re looking for on your site). It helps you get more clicks, more page views, and possibly more revenue as a result. 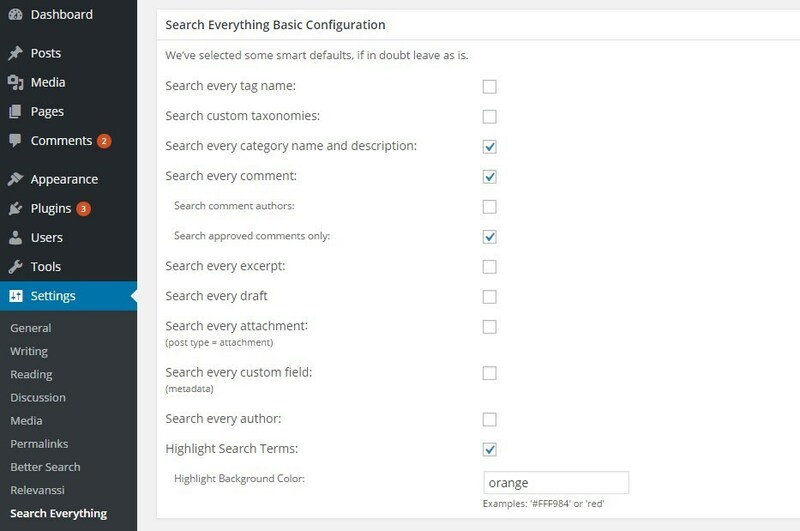 Before we go into how to improve internal search in WordPress, let’s cover the default setup. Basically, WordPress indeed lets you add a search bar widget by default. 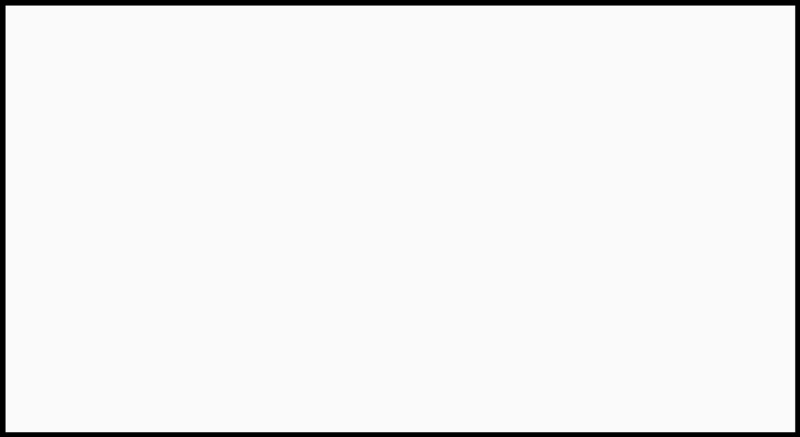 You can place that widget in any widget area – most commonly somewhere in the sidebar. As I said earlier, although it does work technically, this is not the most effective way to enable internal search in WordPress. That default widget doesn’t come with any advanced search algorithm, so there’s always a possibility that users won’t find exactly what they’re looking for. To make things better, here’s a handful of plugins that deliver better results … and as we all know, plugins are great! Relevanssi is a free plugin that works under the hood and takes over the default search feature in WordPress. So in short, your visitors will still get to use the same search field, only this time the results are going to be more optimized. The plugin comes with a few interesting features. For instance, it has partial search, which will display entire words even if the user searches for just a part of it. For instance, if the user writes “app”, the engine will return the excerpts that contain “application” as well. For more laser-focused searches, Relevanssi also lets you look for an exact match, by using quotes – just like in Google. Besides posts and pages, the plugin also has a look into the comments, tags, categories, and custom fields. After installing it, just go to wp-admin / Settings / Relevanssi, and select your preferred options if you want to customize the plugin (not required). Relevanssi is perhaps the best and relatively simple way to improve internal search in WordPress. Better Search is another free plugin that works under the hood by replacing your default search system with an improved one. The plugin will look for results not only in your posts, but also in pages and custom post types. Apart from the search improvements, Better Search also lets you see what the most popular search terms are. You can then take this info and display it with a widget called “search heatmap”. 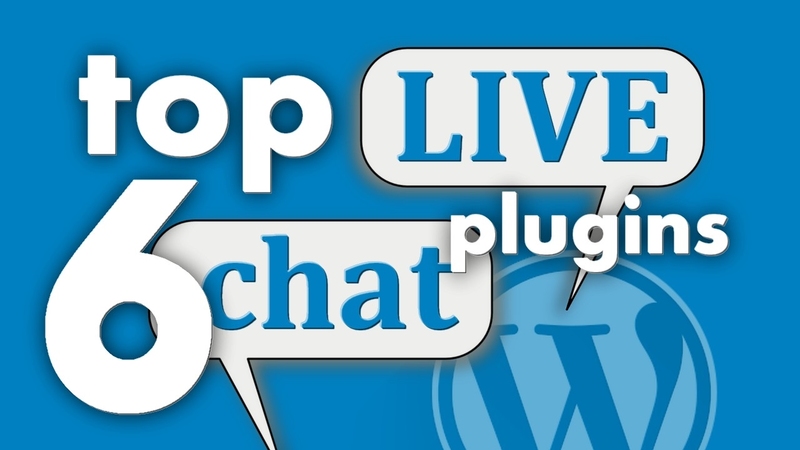 The plugin also works well with the popular cache plugins (WP Super Cache or W3 Total Cache). Right after the installation, Better Search replaces the default search engine, so you won’t have to go through any complicated setup. Optionally, you can set your preferences in wp-admin / Settings / Better Search. This plugin is perhaps not as complex as Relevanssi when it comes to advanced search features, but it’s still a good choice if you’re looking for a great solutions that works with very minimal setup and can still improve internal search in WordPress. Swiftype Search is another solution that can help you improve internal search in WordPress by providing a custom search engine. The plugin is set to deliver the most relevant results by default, but it also comes with a drag-and-drop interface that lets you reorder the results and customize them to your liking. For instance, if for a given keyword you want a specific post to be shown on the first position, Swiftype Search allows you to do this. The setup here does require an additional step, though. 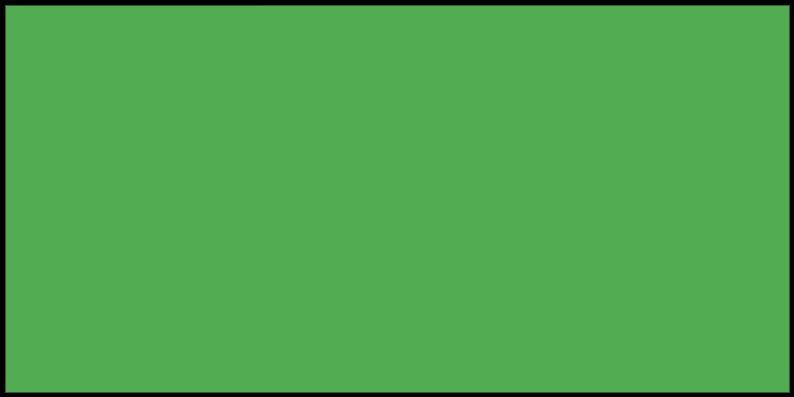 You must first create an account with the plugin’s developer and request an API key, which will authorize your access to the plugin’s separate dashboard. There, you can test the search bar to see how the results will be displayed to your visitors, customize the search results, track your visitors’ activity on your site, and more. The plugin comes with a free plan, but if you’re looking for an advanced tool, you can upgrade to premium. The plugin is very friendly, intuitive, and provides great insights, which will definitely help you improve internal search in WordPress. Still, perhaps a solution for sites that have a lot of content. Another free plugin on the list. To make it work, you just need to install it, go through a short configuration, and then let it work on autopilot. An interesting thing about Search Everything is that it has a feature called Research Everything, which lets you search for your posts and link to them while you’re in the text editor, so you won’t have to open a new tab to do this manually. When performing the search, the plugin looks not only through posts and pages, but also through excerpts, attachments, drafts, comments, tags, categories, and custom fields (you can choose where the plugin goes). If you want to exclude something from search (a secret post, for example), you can do that too. Google Custom Search is not actually a WordPress plugin, but more of a tool that works by integrating with your site. Essentially, it’s Google Search on your blog. But the cool part here is that the search results, although powered by Google’s full capabilities, are limited to only what’s on your site. With Google Custom Search, you can do many things. It has all of Google’s powers behind it, so it returns only the best and most relevant results. Apart from that, you can also customize the appearance of the search bar and the results page (to fit your site’s design). Another great feature of this tool is that it gives you access to Google Analytics, so you can track the search terms, queries, and other relevant statistics about your audience. You can use all this data to improve your content over time. Creating a custom search engine with Google is very simple. All you need to do is sign in to Google Custom Search Engine and then follow the on-screen instructions. At some point, Google will give you a piece of code that you can paste wherever you want to have the new search field displayed. That’s it for now. 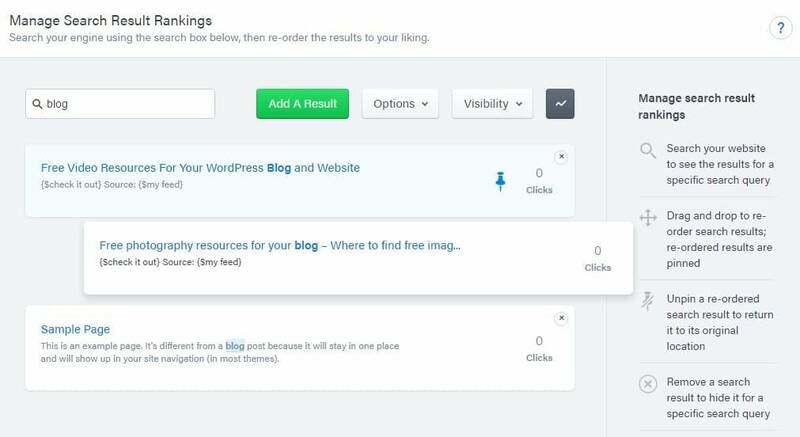 What do you think about the default setup and the way in which you can improve internal search in WordPress? Do you think it’s a good idea to replace it with plugins like these?